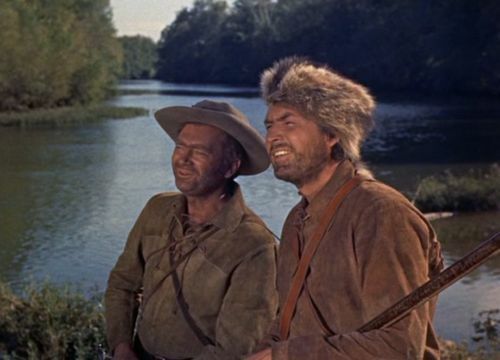 Lately, observing the political scene, I wondered whether the portrait of Davy Crockett in the 1955 Walt Disney TV mini-series - later released as a movie - was accurate. Was he really a man of principle who, to paraphrase his most famous quote, made sure he was right, then went ahead and did the right thing? 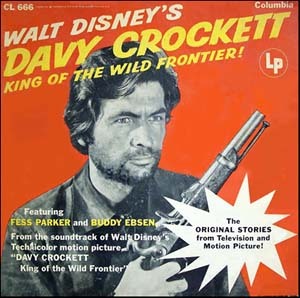 For those who have not seen the movie, which by the way, my 8 year old son loved watching back in the days of VHS tapes (and now can be streamed online for a couple of bucks), Davy Crockett was presented as an Indian fighter in the first episode who extended his hand to his foes once a treaty was signed. “He had always viewed the native Indian tribes of this country as a sovereign people… and the United States were bound by treaty to protect them; it was their duty to do so. And as to giving the money of the American people for the purpose of removing them in the manner proposed, he would not do it. He would do that only for which he could answer to his God…Mr. C. said that four counties of his district bordered on the Chickasaw country. 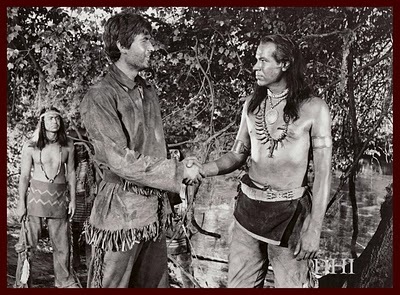 He knew many of their tribe; and nothing should ever induce him to vote to drive them west of the Mississippi…Now, if this was not oppression with a vengeance, he did not know what was…He knew the Indians were unwilling to go: and therefore he could not consent to place them in a situation where they would be obliged to go. He could not stand that. He knew that he stood alone, having, perhaps, none of his colleagues from his state agreeing in sentiment. He could not help that...The moment he should exchange his conscience for mere party views, he hoped his Maker would no longer suffer him to exist. He spoke the truth in saying so. If he should be the only member of that House who voted against the bill, and the only man in the United States who disapproved it, he would still vote against it; and it would be matter of rejoicing to him till the day he died, that he had given the vote…He had seen much to disgust him here…He had been told that he did not understand English grammar. If the fact was so, the error (said Mr. C.) is here, (touching his head) not here (laying his hand upon his heart). He never had possessed wealth or education, but he had ever been animated by an independent spirit; and he trusted to prove it on the present occasion.” (Complete speech transcription is here). 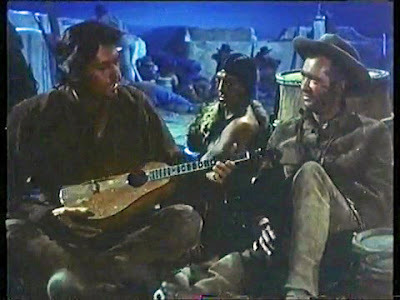 In the movie, on the night before his death, the long-haired Davy Crockett sings a song he wrote about his home in Tennessee, “Farewell”, surrounded by an odd assortment of Alamo defenders – a mute plains Indian, a professional gambler and shaggy frontiersmen, all clutching rifles. Except for Davy. He’s strumming a guitar. An interesting portrait. We could use more such people of principle today.